Separated from all other manufacturing buildings, our Oral Cephalosporin Department is conceived and constructed in a totally independent fashion with dedicated storage areas. 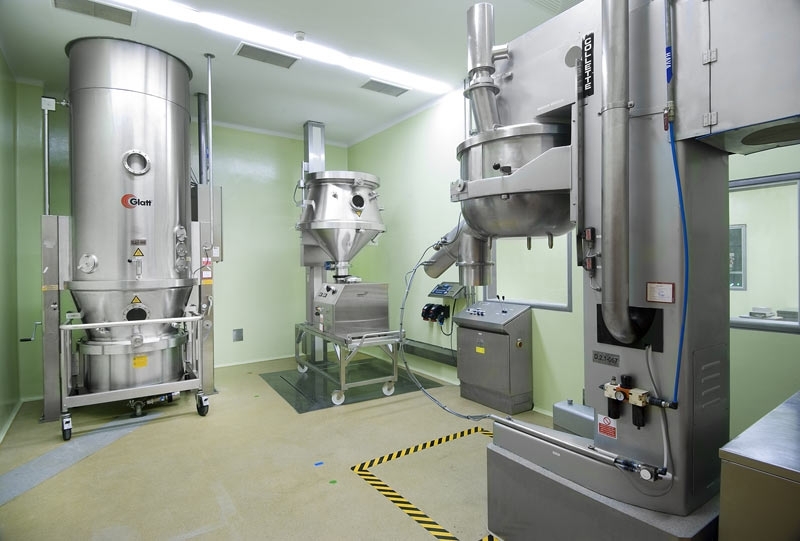 Weighing, powder mixing, wet granulation, dry granulation, powder filling (suspension), tabletting and coating processes are performed in this facility, where explosion proof (ex-proof) conditions are provided for wet granulation and coating processes. In these facilities continuously improved through regular investments, semi-finished products resulting from the manufacturing operations are packaged in blister (Alu/Alu, PVC-PVDC/Alu) or powder (suspension) forms.